Although popular attractions like Bucharest, Valea Prahovei, Brand Castle or the seaside are definitely worth of a visit, the curios travel who is willing to adventure off the beaten path will get the chance to discover a whole new country. For those willing to discover Romania’s history outside the walls of a history museum, the first thing to do is heading for Orastie Mountains in Southern Transylvania, where the ancient people of Dacia have built their fortresses and shrines. Here they will find the Sarmisegetuza sanctuary, part of the UNESCO patrimony, which is the Romanian Stonehenge. The remains of the ancient Greek colonies of Histria, Tomis and Callatis can be visited along the shores of the Black Sea, in Dobrogea region. Back to Transylvania, the fortifies church in the village of Calnic represents a wonderfully preserved image of medieval Romania. 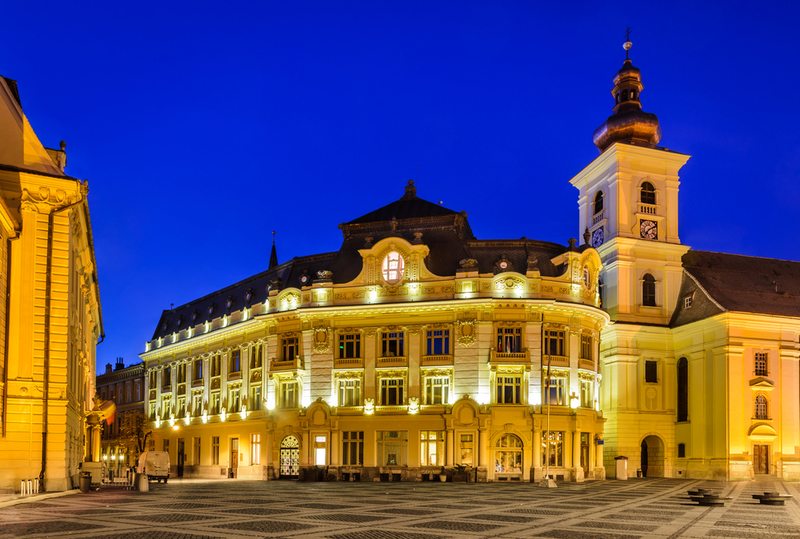 There are numerous cultural events that have gained international attention in the latest years: Transylvania International Film Festival, the George Enescu Festival, Sibiu Jazz Festival or Cerbul de Aur Festival are only a few of them. However, none of these mainstream manifestations have anything in common with the Romanian folklore and traditions. One of the oldest country fairs takes place every summer on Gaina Mountain, in Apuseni National Park – here you can see traditional dances, home made products and taste some delicious local dishes. A for the artsy and bohemian natures, some of them gather every year in Garana, during one of the most unconventional music festivals in the country: Garana Jazz Festival. When it comes to hidden treasures and off the beaten path destinations, Romania’s nature proves to be an in exhaustible resource. Romanian mountains are not very high, but they can offer an amazing diversity of landscapes and outdoor activities. Anybody willing to explore Romania’s hundreds of kilometers of gorges and caves will have the chance to see what few mortals have seen before (in terms of caves and narrow gorges, the Padis Plateau in Apuseni Mountains is highly recommended). As for some nice Romanian resorts, here the tourists is confronted with a serious dilemma: from thermal waters to buzzing nightlife, each resort has something special. Herculane resort in the south-western part of the country will seduce you with its open-air thermal pools and Belle-Epoque atmosphere. If you want to avoid the crowded slopes along Prahova Valley, your best choices include the ski resorts of Straja, Vatra Dornei and Arieseni. As for the Romanian seaside, Gura Portitei, a secluded vacation village located on a magical island, right where the Danube flows into the Black Sea, is very likely to seduce you.